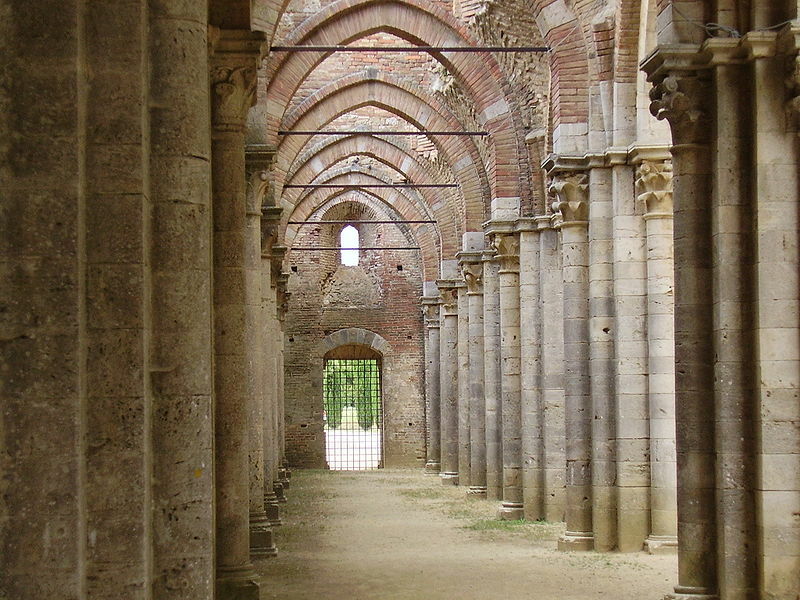 The site is composed by a big abbey, now in ruins, and by the Hermitage, the religious retreat. 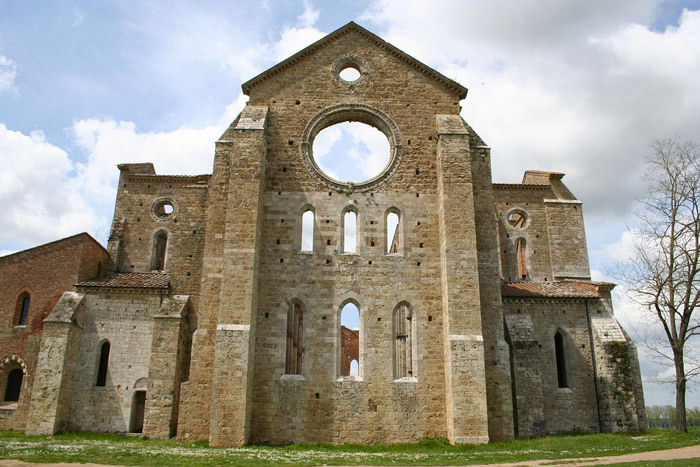 San Galgano is Cistercians abbey not far from Siena, in Chiusdino area. 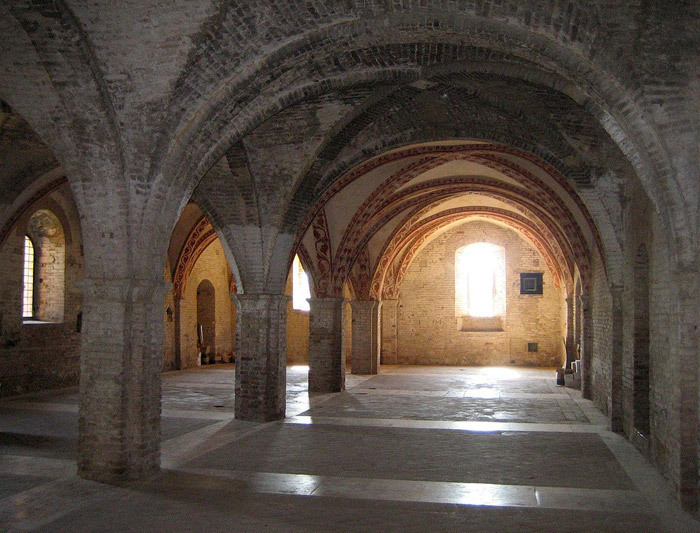 The site is composed by a big abbey, now in ruins, and by the Hermitage (Rotonda di Montesiepi), the religious retreat. 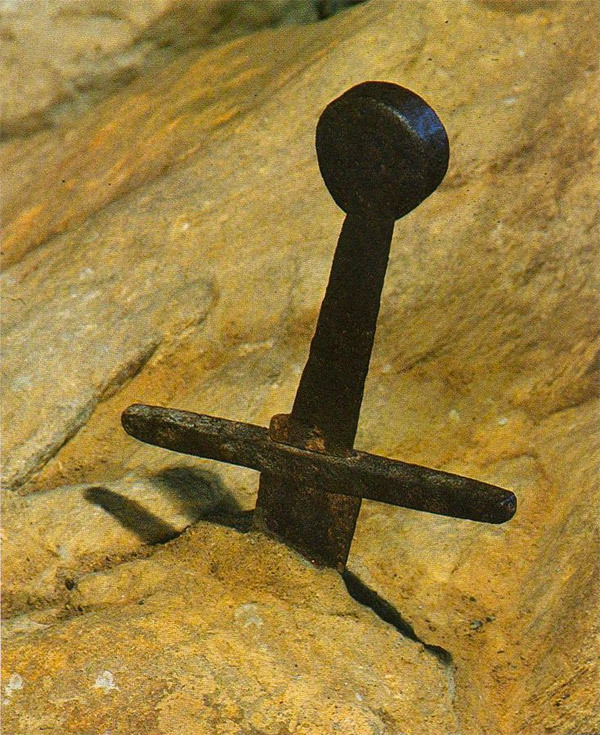 In the Hermitage is preserved the sword in the stone of Galgano Guidotti, a noble knight who retired and died here in 1181. Galgano lost his taste for his worldly life after conversion. The epiphany occurred the night of Christmas 1180 when he had a vision of Michael Archangel. 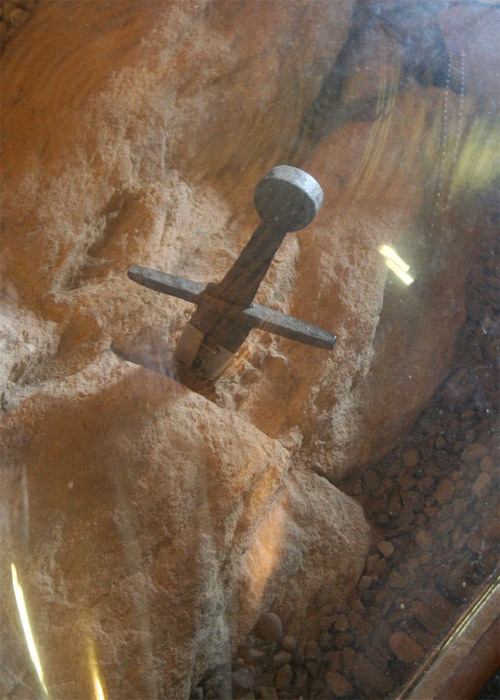 Galgano arrived at Montesiepi hill and stuck his sword in the stone (still preserved in the chapel, at least the rusty hilt is still well planted in the stone) so that it seemeda cross. The obvious echo of the Arthurian myth has not failed to raise curiosity. There are many hypothesis’ about the possible influence of the two myths (the legends of Arthur and Galagano are infact contemporary). However, the most plausibile is the sword in the stone of San Galgano was planted there just under the influence of Arthurian tales. 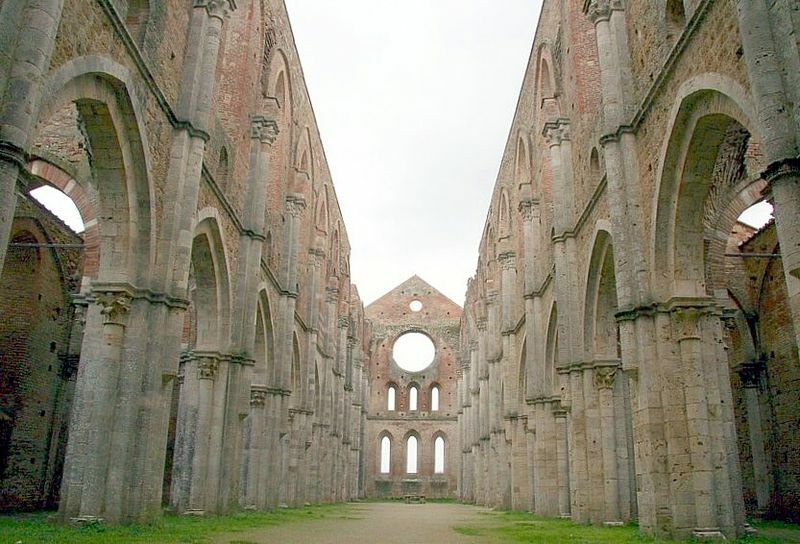 In this case Galgano didn’t planted the sword; instead it was placed by the Cistercian monks who had taken possession of the Rotunda in 1218 to help the myth of Galgano to spread. 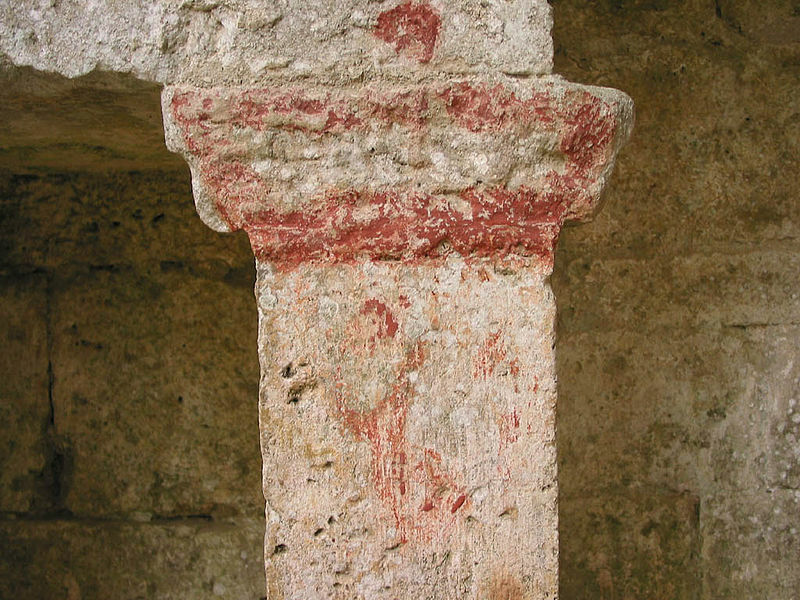 By the will of the bishop of Volterra Ugo Saladini, in the place of death of Galgano was built a chapel, completed around 1185. 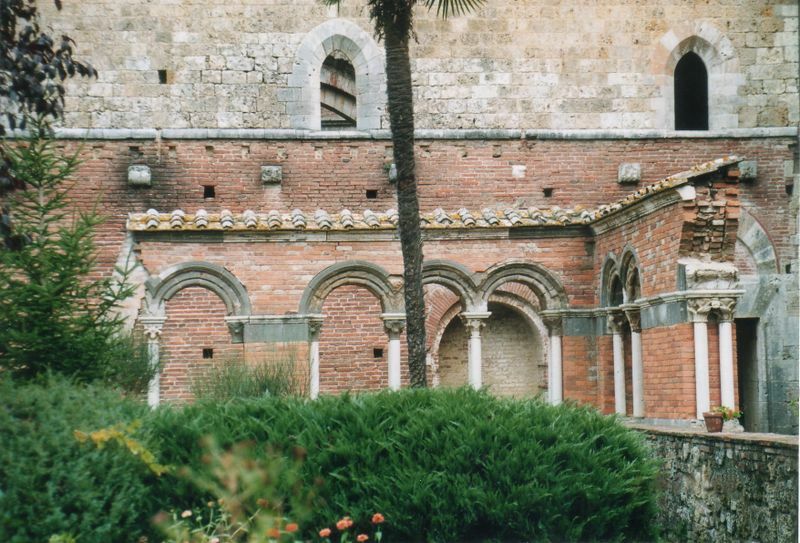 In the last years of his life, Galgano had been in contact with the Cistercians. 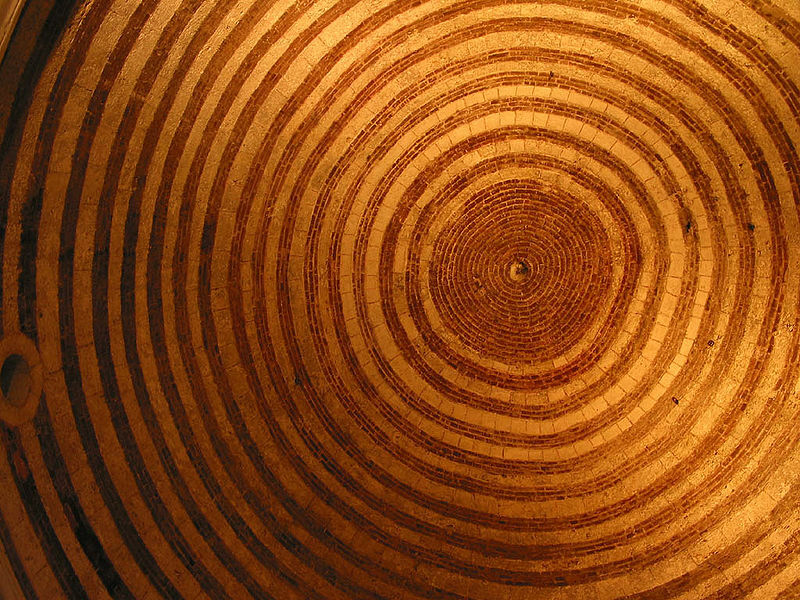 In 1201 the first community of monks was created. 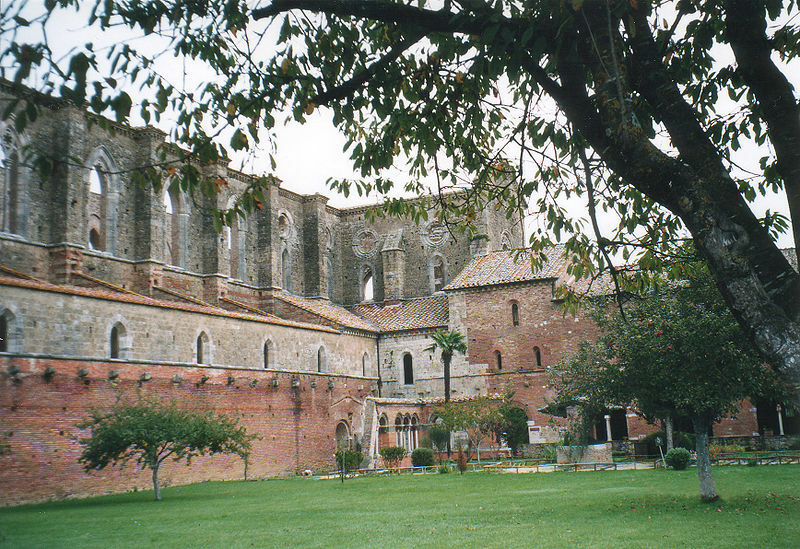 In 1201 construction work of the Abbey began. 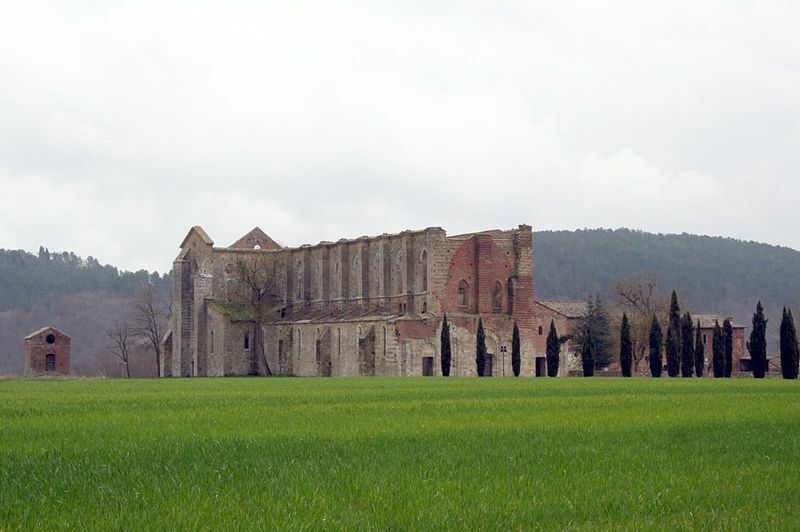 In XIII Century the abbey of San Galgano was the most powerful cistercian foundation in Tuscany. 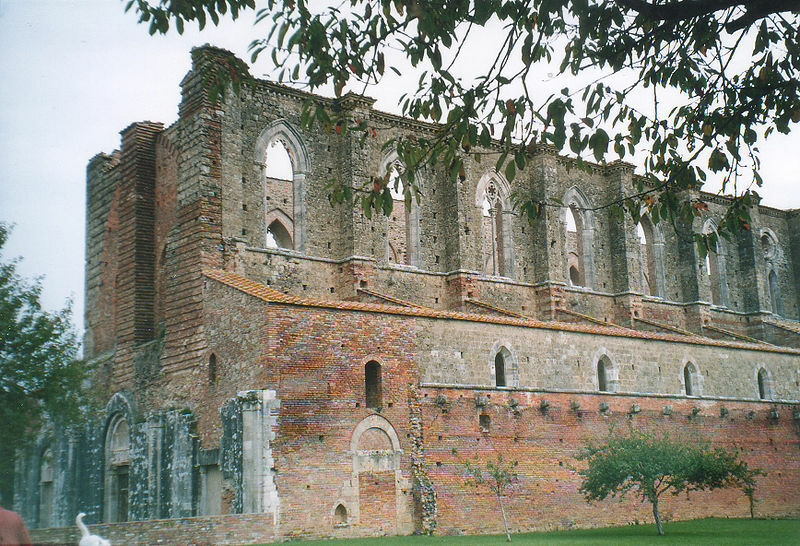 In 1288 the Abbey was finished. After the famine of 1328 and the plague of 1348, monks were decimated. 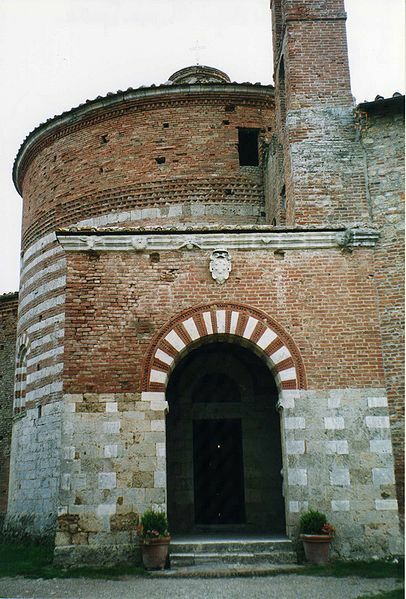 Then the abbey, like all the rest of the country, was sacked by Compagnie di Ventura, like the one of John Hawkwood (known as Giovanni Acuto in Italy). 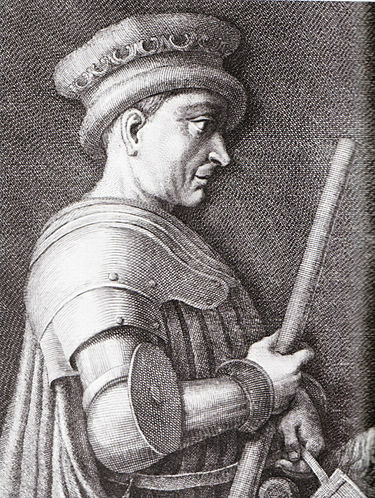 Sir John Hawkwood (born c. 1320, died 1394) was an English mercenary or condottiere who was active in 14th century Italy. Hawkwood served first the Pope and then various factions in Italy for over 30 years, amassing a fortune in land and gold. 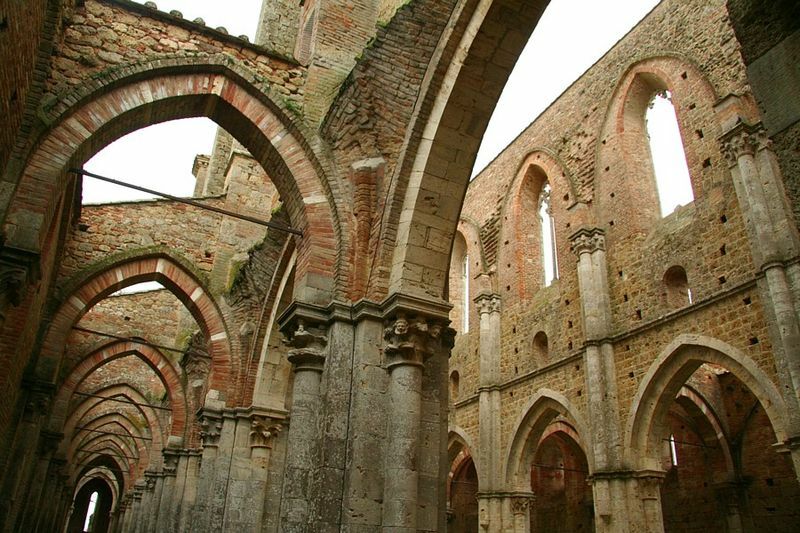 In 1474, monks built the San Galgano Palace in Siena, and they moved there abandoning the monastery.